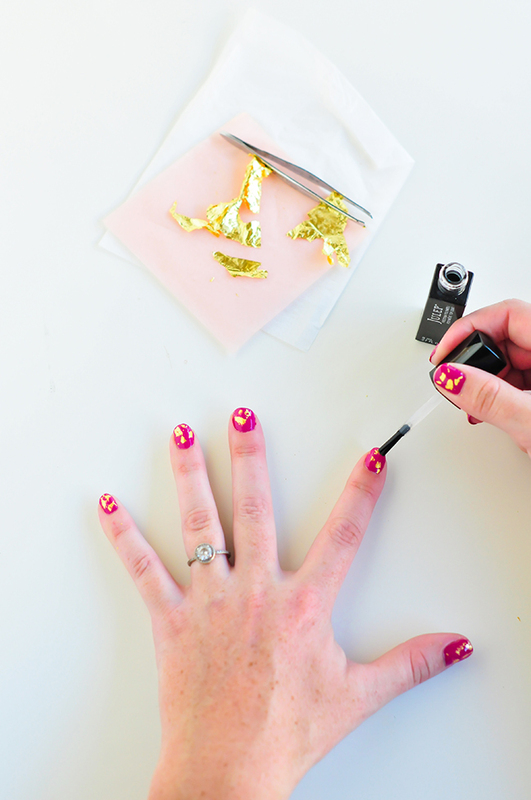 It’s always a party when I paint my nails with a little gold sparkle. I’ve seen the glitter, the gold polish, the gold paint, but hadn’t happened upon gold leaf yet and thought, “Well, why not? 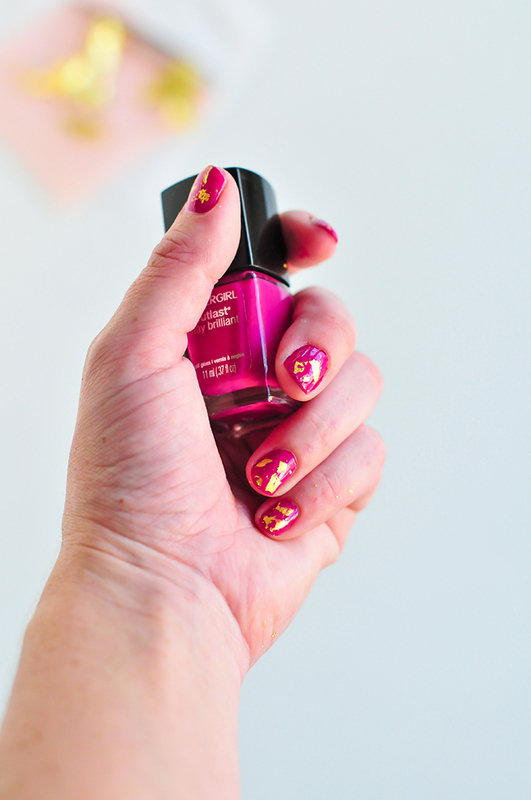 !” It involves just one extra step when painting your nails, and the results are perfectly gilded! ou can get gold leaf at any craft store, or you can buy 20 sheets of gold leaf on Amazon here for $11. 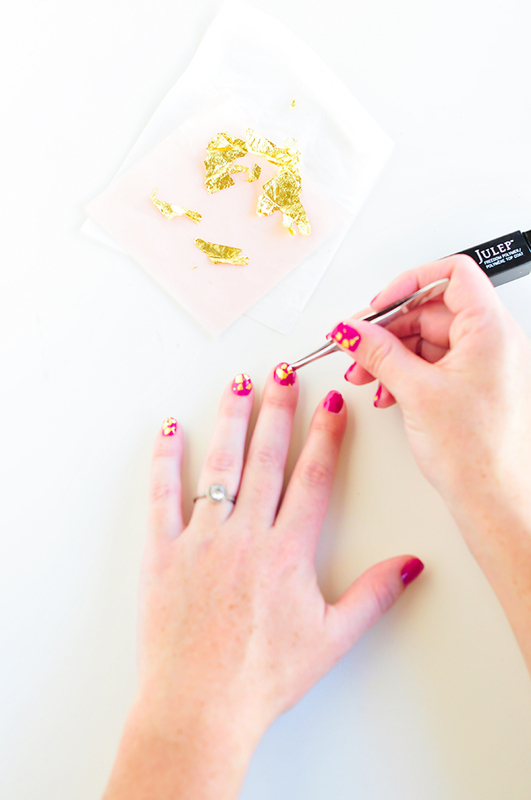 This gold leaf manicure tutorial is practically fail-proof. 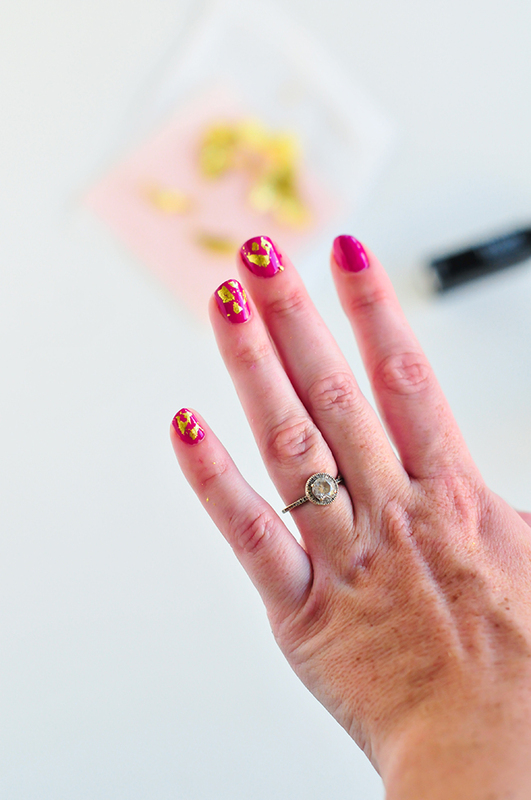 And if you’re looking for more simple yet gorgeous nail art tutorials, check out the slideshow. 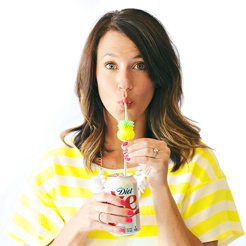 These tutorials are so easy that you can even do them with your kids. Pre-Manicure: Before starting your manicure, be sure to prep your nails by cleaning them, trimming the nail beds, and filing any snags or rough edges. Put a small amount of lotion on your hands before getting started! Step 1: Paint your nails in your color of choice. Take your time and move slow around the edges. Paint all the way to the edge of the nail beds to ensure maximum coverage! 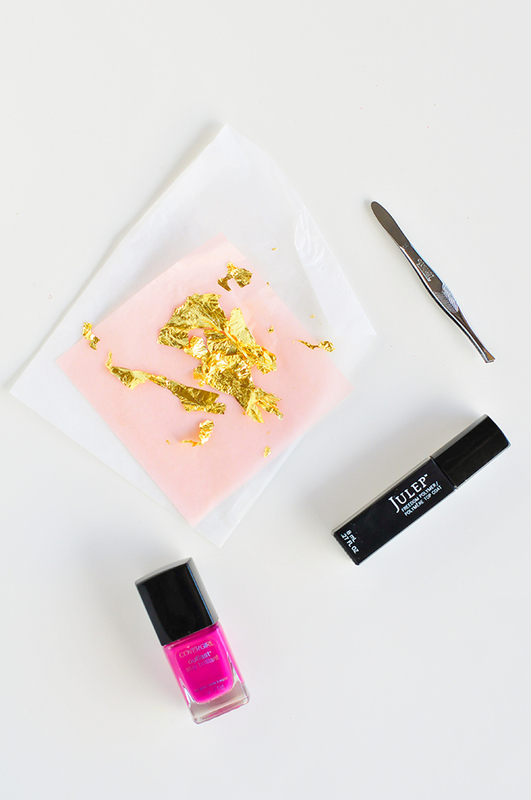 Step 2: Use the tweezers to attach a few small pieces of the gold leaf to your nails. Work a few nails at a time and be sure to do this after thirty seconds or so. You don’t want the polish to be completely dry. It needs to be tacky so that the gold leaf has something to grab onto. 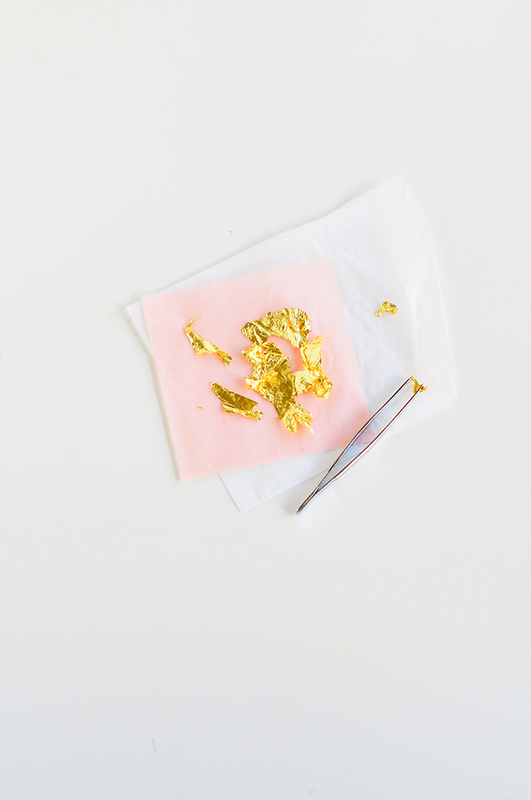 Step 3: Use your finger to gently pat down the gold leaf. Just smooth it over by rubbing your finger over it. This will also help the flakes move around and take on unique shapes and designs. 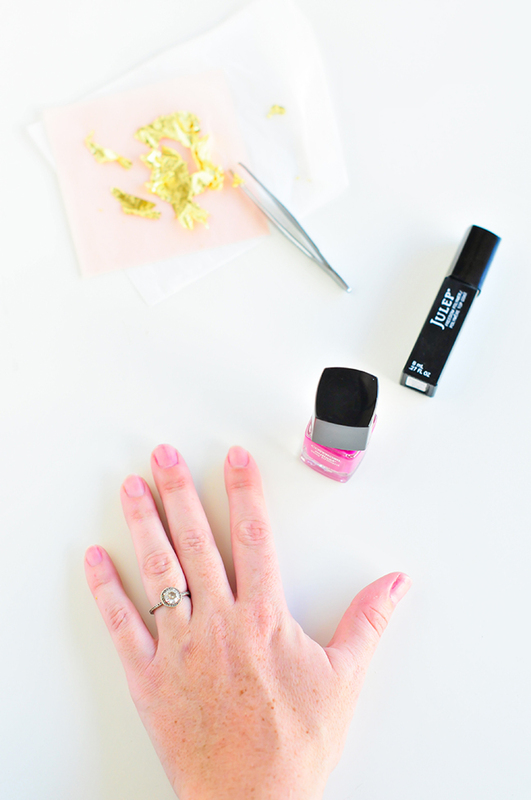 Step 4: Allow your nails to dry for two minutes or longer and then apply a top coat. The gold leaf won’t move around if it’s attached properly to the color. 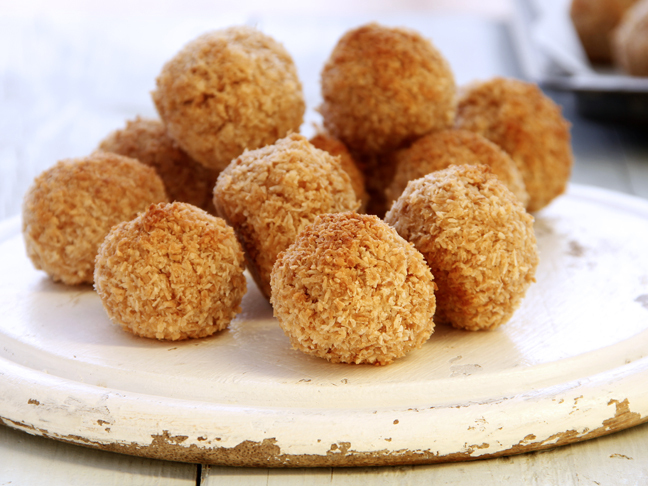 If you catch a little snag, just go with it! It will dry in the top coat layer. Et voila! 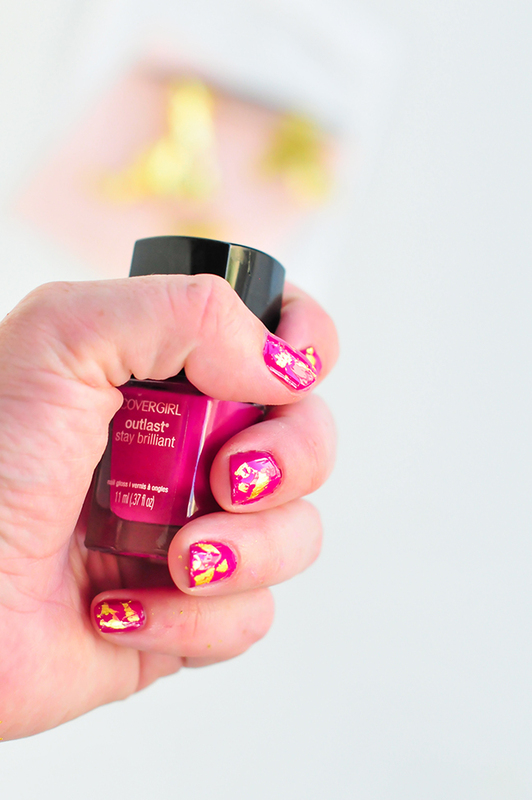 You’ve got a manicure fit for a queen and perfect for those holiday parties you know you’ll be attending!